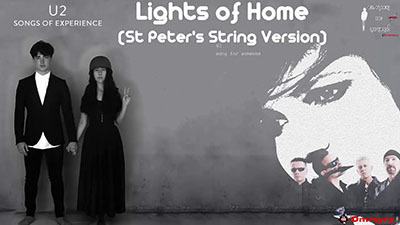 “Lights of Home” is a track on U2’s album Songs of Experience that was co-written by the Haim sisters from the alternative pop-rock band HAIM, who sing back-up vocals. The song was structured around a riff that U2 borrowed from HAIM’s single “My Song 5.” HAIM joined U2 in the studio on 2016. The song “Lights of Home” was written by Ariel Rechtshaid, Alana Haim, Danielle Haim, Este Haim, Adam Clayton, Larry Mullen Jr, The Edge & Bono. It was released on December 1, 2017.